Rent With Style offers customers consumer leases. This document provides you with an overview of our obligations and your rights in assessing the suitability of a credit contract or lease or credit limit increase for each customer. It also outlines the procedure for making a complaint.Rent With Style is a credit provider. The contract does not meet the customer's requirements or objectives. Before entering into the lease or at any time during the first 7 years of the contract, you can request a written copy of our assessment. There is no fee for requesting a copy of our assessment.If you request a copy of the assessment before we enter into the lease we will provide you with a written copy of our assessment. If you ask to see our assessment within the first 2 years of the contract, we will provide you with a written copy of our assessment within 21 business days after we receive your request.If you ask to see our assessment 2-7 years after the start date of the contract, we will provide you with a written copy of our assessment within 21 business days after we receive your request.We do not have to provide the assessment if you do not enter into the lease. We have an internal dispute Resolution Procedure. We genuinely want to hear from our customers. If you have something on your mind regarding our products or services, we welcome the opportunity to resolve the situation. Our staff are here to help you so if you have a concern or complaint, please talk to our staff on 1300 73 23 83If our Customer Contact Centre team has not resolved your concern or complaint, please contact our internal dispute resolution scheme by contacting us in writing to Rent With Style, P.O Box 2960 Rowville, VIC 3178If you feel that we have not resolved your complaint to your satisfaction level, you can refer your concerns to The Credit and Investments Ombudsman (CIO) in writing through PO Box A252, South Sydney NSW 1235. We are a member of COSL and this service is established to provide you with an independent mechanism to resolve specific complaints.You can also contact ASIC, for information about your rights on 1300 300 630.Some of the obligations described above will not apply to you unless your lease is a "Consumer Lease". Please call us if you have any queries. How can I get details of my lease? What should my lease tell me? If your lease does not tell you all these details, contact your credit provider's external dispute resolution scheme, or get legal advice, for example from a community legal centre or Legal Aid, as you may have rights against your lessor. What will I have to pay if I end my lease early? Can my lease be changed by my lessor? Is there anything I can do if I think that my lease is unjust? If that is not successful, you may contact your credit provider's external dispute resolution scheme. EXTERNAL DISPUTE RESOLUTION IS A FREE SERVICE ESTABLISHED TO PROVIDE YOU WITH AN INDEPENDENT MECHANISM TO RESOLVE SPECIFIC COMPLAINTS. YOUR CREDIT PROVIDER'S EXTERNAL DISPUTE RESOLUTION PROVIDER IS COSL AND CAN BE CONTACTED AT TELEPHONE:1800 138 422, INTERNET: www.cosl.com.au and POSTAL ADDRESS: PO Box A252 Sydney South NSW 1235. If my lessor writes asking me where the goods are, do I have to say where they are? Yes. You have 7 days after receiving your lessor's request to tell your lessor. If you do not have the goods you must give your lessor all the information you have so they can be traced. When can my lessor or its agent come into a residence to take possession of the goods? Your lessor can only do so if it has the court's approval or the written consent of the occupier which is given after the occupier is informed in writing of the relevant section in the National Credit Code. What do I do if I can not make a rental payment? To delay rental payments for a set time. What if my lessor and I can not agree on a suitable arrangement? Can my lessor take action against me? Yes, if you are in default under your lease. But the law says that you can not be unduly harassed or threatened for rental payments. If you think you are being unduly harassed or threatened, contact your credit provider's external dispute resolution scheme or ASIC, or get legal advice. IF YOU HAVE ANY DOUBTS, OR WANT MORE INFORMATION, CONTACT YOUR CREDIT PROVIDER. YOU MUST ATTEMPT TO RESOLVE YOUR COMPLAINT WITH YOUR CREDIT PROVIDER BEFORE CONTACTING YOUR CREDIT PROVIDER'S EXTERNAL DISPUTE RESOLUTION SCHEME. IF YOU HAVE A COMPLAINT WHICH REMAINS UNRESOLVED AFTER SPEAKING TO YOUR CREDIT PROVIDER YOU CAN CONTACT YOUR CREDIT PROVIDER'S EXTERNAL DISPUTE RESOLUTION SCHEME OR GET LEGAL ADVICE. PLEASE KEEP THIS INFORMATION STATEMENT. YOU MAY WANT SOME INFORMATION FROM IT AT A LATER DATE. (d) any Special Terms specific to the type of Equipment You have hired attached to Your Hire Schedule, make up the hire agreement (the "Hire Agreement") between You and Us. The provision or acceptance of a Hire Schedule shall not form a separate agreement between You and Us, but shall constitute part of this Hire Agreement. It is important that You read and understand all of the terms and conditions of the Hire Agreement before hiring from Us. If You have any questions please ask Us. "Credit Account" means You have properly completed and submitted a Credit Application to Us and We have approved You for an account with Us. "Equipment" means any of Our equipment, accessories and parts available for hire. "Expected Off Hire Date" means the date You advised Us at the commencement of the hire that You would no longer require the Equipment. This date is set out in the Hire Schedule. "Hire Period" means for Equipment specified in a Hire Schedule the period described in clause 4. "Hire Schedule" means the document provided by Us to You which outlines important information, including but not limited to, the Equipment You have hired, the hire rates which apply to the Equipment, any other applicable charges, the Expected Off Hire Date, the address for delivery of the Equipment and options at the end of the hire period. "Off Hire Date" has the meaning set out in clause 5.6. "Off Hire Number" is the number given by Us to You on the Off Hire Date, as set out in clause 5.6. "PPSA" means the PPS Act and any other legislation and regulations in respect of it. "PPS Act" means the Personal Property Securities Act 2009 (Cth). "We/Us/Our" means Rent With Style. "You/Your" refers to the person, firm, organisation, partnership, corporation, trust or other entity hiring Equipment from Us, as named in the Credit Application or the Hire Schedule. "RWS" refers to Rent With Style. (b) if You request delivery and collection of the Equipment, the time We deliver the Equipment to the address You provide to Us in the Hire Schedule, whichever occurs first. 4.2 The Hire Period is for a term and ends when the Equipment is back in Our custody and possession. 4.4 The Hire Period can only be changed if You request a variation and We agree to that variation in writing. 5.1 You will pay Us for the hire of the Equipment at the hire charge rates set out in the Hire Schedule. 5.2 The Hire Schedule will specify the type of rate which will apply to you. 5.3 We reserve the right to charge for a minimum period of hire for certain types of Equipment, but We will advise You of any minimum hire periods before You commence the hire. 5.4 If You have requested that We deliver and collect the Equipment and We have agreed, hire charges will commence from the time the Equipment leaves Our premises and continue until the date You notify Us that You no longer require the Equipment and that the Equipment is available for collection (the "Off Hire Date").On the Off Hire Date, You must notify Us that the Equipment is available for collection by no later than the time of day at which Your hire commenced (e.g. if Your hire commenced at 10am, then You must notify Us by no later than 10am on the Off Hire Date), otherwise We reserve the right to charge an extra day of hire charges. For the avoidance of doubt, the Expected Off Hire Date set out in the Hire Schedule is not considered to be Your notice to Us that the Equipment is available for collection. (c) any other applicable levies, fines, penalties and any other charges arising out of Your use of the Equipment- charges in connection with the administration of Your account with Us, as detailed in the Hire Schedule. 6.2 You only extinguish the Owner's Security Interest upon payment of the Total Hire Amount and any other monies due to the Owner on any account, plus interest and accumulated legal costs of enforcement. 7.1 You must pay all fees, charges and costs that become due and payable under this rental agreement, within 7 days from the date the invoice is dated. (a) interest, calculated monthly, on the total outstanding balance and (b) any costs and expenses (including legal costs) incurred by Us in recovering any unpaid amounts under this Hire Agreement. 7.4 All payments, once paid, are not refundable. 7.5 Once payment is completed, the Equipment may be gifted to you as per clause 20.1(c). 7.6 You must not change, or adjust Direct Debit payment options without talking to Rent With Style staff. (b) contacting Us on 1300 73 23 83 during office hours. (a) are payable on demand which We may enforce by debiting the amount of any liquidated damages from your nominated bank account or credit card. However, we will provide you with reasonable notice before debiting your bank account or credit card and (b) Upon and after termination of this Rental Agreement, as a separate and independent obligation which survived termination of this Rental Agreement, you agree to pay liquidated damaged on the overdue amount, until all amounts owing under this Rental Agreement are paid in full. a) a dishonour fee of $35 + GST if a total weekly/ fortnightly/ monthly rental payment or any other amount due under this Rental Agreement, is unable to be processed (including because you do not have sufficient funds in your account or a credit card transaction is declined). We may attempt to process a total monthly rental payment or other amount due more than once however we will give you reasonable notice before doing so. You must pay a dishonour fee each time the payment is unable to be processed. Dishonoured fees are payable immediately on the dishonour however we will give you reasonable notice before debiting your bank account or credit card. Clause 7 sets out our rights to liquidated damages for late payments which are payable in addition to this fee. (b) a payment deferral fee of $30 + GST where we agree to defer a Total weekly/ Fortnightly/ Monthly Repayment payment or any other amount due under this Rental Agreement. A payment deferral fee is payable at the same time as the deferred payment is due. 8.1 This Hire Agreement is personal to You and so You must not allow nor authorise any other person or entity to use, re-hire or have possession of the Equipment at any time, unless expressly agreed by Us in writing. 8.2 You agree that before accepting the Equipment, You have satisfied Yourself as to the suitability, condition and fitness for purpose of the Equipment for the job You intend to use it for. We make no representations and give no guarantee or warranty that the Equipment is suitable for Your intended purpose. (c) not deface, remove, vary or erase any identifying marks, plate, number, notices or safety information, on the Equipment. 8.5 At all times during the Hire Period, You must store the Equipment safely and securely and protected from theft, seizure, loss or damage. 8.6 You will allow Us to enter Your premises and inspect the Equipment from time to time during the Hire Period. You can also request to conduct a joint inspection of the Equipment with Us at the end of the Hire Period. 8.7 You must not remove the Equipment from the Property, State or Territory in which You hired it without our written consent. 8.8 Whenever You are moving the Equipment with our consent, You must ensure the safe loading, securing and transporting of all Equipment in accordance with all laws and manufacturer's guidelines. You (or any contractor You engage) must observe any safety directions advised by Us and/or the manufacturer of the Equipment to ensure its safe loading and handling. 8.9 You authorise us to complete any blanks or correct any errors in this Rental Agreement (including inserting serial numbers, model numbers and the Contract Number) that are clearly incorrect and the amendment of which would not have a detrimental effect on your liabilities or materially affect your obligations under this Rental Agreement. 9.1 You acknowledge that We own the Equipment and in all circumstances We retain title to the Equipment (even if You go become bankrupt during the Hire Period). Your rights to use the Equipment are as a bailee only. 9.3 If we have not terminated this Rental Agreement, you may collect the Equipment from us only if you have paid all amounts payable under this Rental Agreement including any amounts owing to us in accordance with our Rental Terms and Conditions. 10.1 You consent to Us affecting and maintaining a registration on the register (in any manner We consider appropriate) in relation to any security interest contemplated or constituted by this Hire Agreement in the Equipment and the proceeds arising in respect of any dealing in the Equipment and You agree to sign any documents and provide all assistance and information to Us required to facilitate the registration and maintenance of any security interest. (a) do anything (in each case, including executing any new document or providing any information) that is required by Us so that We (i) acquire and maintain one or more perfected security interests under the PPSA in respect of the Equipment and its proceeds (ii) register a financing statement or financing change statement and (iii) ensure that Our security position, and rights and obligations, are not adversely affected by the PPSA (b) not register a financing change statement in respect of a security interest contemplated or constituted by this Hire Agreement without Our prior written consent (c) not register, or permit to be registered, a financing statement or a financing change statement in relation to the Equipment in favour of a third party without Our prior written consent. (d) Inform us when you intend to transfer or sell the secured personal property. 10.3 To the extent that Part 4 of PPSA applies to any security interest under this agreement, the following provisions of the PPS Law: (a) section 123 (seizing collateral) section 126 (apparent possession) section 128 (secured party may dispose of collateral) section 129 (disposal by purchase) section 134(1) (retention of collateral) confer rights on Rent With Style. Hirer agrees that in addition to those rights, Rent With Style shall, if there is default by Hirer, have the right to seize, purchase, take possession or apparent possession, retain, deal with or dispose of any goods, not only under those sections but also, as additional and independent rights, under this document and the Hirer agrees that Rent With Style may do so in any manner it sees fit including (in respect of dealing and disposal) by private or public sale, lease or licence. (b) The Owner and the Hirer agree not to disclose information of the kind that can be requested under section 275(1) of the PPS Law. The Hirer must do everything necessary on its part to ensure that section 275(6)(a) of the PPS Law continues to apply. The agreement in this sub-clause is made solely for the purpose of allowing The Owner the benefit of section 275 (6)(a) and the Owner shall not be liable to pay damages or any other compensation or be subject to injunction in respect of any actual or threatened breach of this sub-clause. 10.4 Unless otherwise agreed and to the extent permitted by the PPSA, You and We agree not to disclose information of the kind referred to in section 275(1) of the PPS Act to an interested person, or any other person requested by an interested person. You waive any right You may have, or but for this clause may have had, under section 275(7)(c) of the PPS Act to authorise the disclosure of the above information. 10.5 For the purposes of section 20(2) of the PPS Act, the collateral is Equipment including any Equipment which is described in any Hire Schedule provided by Us to You from time to time. This Hire Agreement is a security agreement for the purposes of the PPS Act. 10.6 We may apply amounts received in connection with this Hire Agreement to satisfy obligations secured by a security interest contemplated or constituted by this Hire Agreement in any way We determine in Our absolute discretion. 10.7 You agree to notify Us in writing of any change to Your details set out in the Credit Application, within 5 days from the date of such change. 11.1 You are responsible for the Equipment for the hire period and upon delivery of the equipment You must notify Rent with Style within 24 hours about condition and operating order of goods or goods will be considered to be working and accepted in perfect order. 11.2 You are responsible for keeping and maintaining the Equipment in proper working order and condition and in good, substantial repair. (a) The product comes with a manufacturer's warranty. You acknowledge and accept the rental term of each product may or may not exceed the length of the warranty provided for that product. (b) If you wish to rent a product for a period that exceeds the length of the warranty provided for that product, Rent with Style may consent to this, provided that you pay the costs associated with obtaining an extended warranty to cover the duration of the longer rental term for that product. 11.3 Operate equipment safely, strictly in accordance with the law, only for its intended use and in accordance with any manufacturer's instructions. 11.4 Assume all risks and liabilities for, and in respect of, the equipment and for all injuries to or deaths of persons and any damage to property howsoever arising from the hirer's possession, use, maintenance, repair, storage or transport of the equipment. 11.6 Not recover from the Owner, any compensation for any damages (and consequential loss) arising in respect of this Agreement or the hiring and use of the Equipment. This clause does not exclude any rights the Customer may have under the Australian Consumer Law or other law, if those laws may not be lawfully excluded or modified under this Agreement. 11.7 We strongly recommend that all the equipment be insured for the full rental term. If you do not have sufficient insurance to cover the equipment, Rent With Style may offer to insure the equipment on your behalf for an additional fee to be advised by Rent With Style on your request. 11.8 You must notify Rent With Style if any of the products are stolen, lost or destroyed. If the insurance provider does not accept the claim by reason of your negligence, recklessness or carelessness, then on the next rental payment date, you must pay all amounts owing under this Agreement as well as the balance of rental payments, which Rent With Style would have received if the agreement were completed. 11.9 If any equipment is stolen, you must inform the police within 24 hours of the incident, and promptly provide us with a copy of the police event number. 11.10 Within 14 days after the loss or damage occurring, you must complete an Incident Notification form and send it to us. 12.1 You must return the Equipment to Us in the same clean condition and good working order it was in when You received it, ordinary fair wear and tear excluded. If You do not properly clean the Equipment, We will charge You a cleaning cost in accordance with clause 6(b). 12.2 Except in the circumstances set out in clause 13 below, it is Your responsibility to return the Equipment in good working condition to the Rent With Style branch You hired it from during normal business hours. 12.4 On termination of this Agreement under clause 16, you are to return the equipment at your expense to a Rent With Style office in your State as nominated by us, together with all software specified in the Signature Page, all CDs, DVDs, accessories and manuals, in as good condition as the Equipment was delivered to you, except for normal fair wear and tear. 12.5 It is your responsibility to remove any personal data and software not specified in the Signature Page that is stored on or in the Equipment before returning it to us. 12.6 We expressly deny all liability for any consequences arising from Your failure to remove all information or software. 12.7 If any Equipment is returned to us other than in accordance with clause 12.4, you must pay Us the difference between the fair market value and the fair market retail value of the Equipment. 12.8 If any equipment is returned to us other than in accordance with clause 12.5, you must pay Us, calculated at our standard rates (as notified to you at the time), for our services required to remove any personal data. We will not be held liable for any data that is lost, corrupted or compromised during this process. (b) the hire charges for that portion of the Hire Period during which the Equipment is being recovered and repaired or replaced. 14.2 Provided that You pay the costs and charges described in clause 14.1, We will return the Equipment to You once it has been repaired or replaced, and You will continue to pay the hire charges for the remainder of the Hire Period. 15.2 Nothing in this Hire Agreement excludes, restricts or modifies any right or remedy, or any guarantee, term, condition, warranty, undertaking, inducement or representation, implied or imposed by any legislation which cannot lawfully be excluded or limited. This may include the Australian Consumer Law, which contains guarantees that protect the purchasers of goods and services in certain circumstances. 15.4 Subject to Our obligations under the Non-Excludable Provisions and to the maximum extent permitted by law, Our maximum aggregate liability for all claims under or relating to this Hire Agreement or its subject matter, whether in contract, tort (including without limitation negligence), in equity, under statute, under an indemnity, based on fundamental breach or breach of a fundamental term or on any other basis, is limited to an amount equal to the fees paid by You under this Hire Agreement. In calculating Our aggregate liability under this clause, the parties must include any amounts paid or the value of any goods or services replaced, repaired or supplied by Us for a breach of any Non-Excludable Provisions. 15.5 Subject to clauses 15.3 and 15.4, We will not be liable to You for any consequential, indirect or special loss or damage, loss of actual or anticipated profits or revenue, loss of business, business interruption, wasted costs You have incurred, amounts that you are liable to Your customers for or any loss suffered by third parties under or relating to this Hire Agreement or its subject matter, whether in contract, tort (including without limitation negligence), in equity, under statute, under an indemnity, based on fundamental breach or breach of a fundamental term or on any other basis, whether or not such loss or damage was foreseeable and even if advised of the possibility of the loss or damage. (b) any expenses we reasonable incur in enforcing this Rental Agreement or incur because you have repudiated, terminated or breached this Rental Agreement, including, without limitation, any legal costs and expenses, financing break costs, costs incurred in repossessing or attempting to repossess the Equipment and costs incurred in storing and disposing of the Equipment. (d) a claim for patient, trademark or copyright infringement, for strict liability or for any other reason being made against us as a result of your acts or omissions for use of the Equipment which is inconsistent with its ordinary use or purpose. 15.10 You agree that we may pay commissions or fees to any broker, agent, dealer or other person who introduces you to us, or us to you. 15.11 You assume and bear the risk of all theft, loss or damage to the Equipment and you agree to indemnify us for any such theft, loss or damage. 15.12 You will indemnity and keep indemnified Rent With Style and its agents and representatives in respect of any claim, action, damage, loss, liability, cost, charge, outgoing or payment suffered or incurred by Rent With Style (including but not limited to economic loss and all legal costs and disbursements on a full indemnity basis) causes by you and/ or any wilful legal or negligent act or omission by you. (a) which is covered by a manufacturer's warranty or any other extended warranty or would have been so covered had that warranty not been voided. (b) caused by mechanical and/ or electrical breakdown of any kind, if the breakdown. Derangement occurs as a result of an external accident (e.g. power surge) and where you have been grossly negligent. (c) arising from theft, misappropriation, fraudulent, intentional or dishonest acts or malicious damaged by you, your employees, your family, any person who has unrestricted access to the Equipment, or any person to whom you have lent the Equipment to otherwise permitted to use the Equipment and any loss or damage we suffer as a result of you failing to remove personal information or soft wear as required under this Rental Agreement. (b) If either party becomes bankrupt or insolvent, executes a personal insolvency agreement, enters into liquidation, administration, receivership or ceases to carry on business. 16.2 We may terminate the Hire Agreement and any Hire Period for any other reason with one payment period notice. 16.3 These rights of termination are in addition to any other rights either party has under the Hire Agreement and does not exclude any right or remedy under law or equity. 16.4 If you pass away during the course of this agreement, your rights, title and interest will pass to the nominated guarantor and they will have the obligation to continue the agreement. If a guarantor is not chosen, then the goods will be returned to us. 17.1 If You are in breach of the Hire Agreement or if the Hire Agreement or a Hire Period has been terminated under Clause 16, We may take all steps necessary (including legal action) to recover the Equipment, including entering Your premises to do so. Upon receiving notice from Us, You expressly consent to us entering Your premises for the purposes of recovering Our Equipment. 17.2 In addition to recovery of the equipment, We are entitled in our discretion, following any breach of any provision of this agreement, to terminate this agreement and/or sue for recovery of any damages or charges or loss suffered by the owner, and/or to cancel any insurances effective in respect of the equipment hired. 17.3 Upon 24 hours notice to the hirer or lessee of the equipment listed in Schedule 1, the franchisor or its agents may enter the property in order to assess the upkeep and maintenance of the equipment or to seize the equipment pursuant to unpaid rental fees. 17.4 We will reserve the right to seek liquidated damages and judgment against you via the institution of legal proceedings. 18.1 By paying to us the Termination Amount, calculated in accordance with clause 12.4, you may return the Equipment and terminate this Rental Agreement. 18.2 Until you return the Equipment as required by Clause 12, you must continue to pay the Total weekly/ fortnightly/ monthly rental payments and all other amounts payable under this Rental Agreement when due. 18.3 Until you pay the Termination Amount as required by this Clause, whether or not you have returned the Equipment, you must continue to pay the Total weekly/ fortnightly/ monthly rental payments and all other amounts payable under this rental agreement in accordance with clause 7. (b) any liquidated damaged payable under Clause 7.8 and any other amounts payable under this Rental Agreement. 19.1 If you fail to pay any rental payment (including the First Rental Amount, if applicable) or if you fail to return the Equipment when you are required to do so under this Rental Agreement, in addition to our other rights, we or our authorised agents may, subject to complying with any applicable law, take all necessary steps to enter any premises where we believe the Equipment may be located and repossess the Equipment. 19.2 We may sell any repossessed Equipment at any time. 19.3 If we have not terminated this Rental Agreement, you may collect the Equipment from us only if you have paid all amounts payable under this Rental Agreement including any amounts owing under clause 20(a) and the Agreed Term. 19.4 Where we have not given your prior notice of the repossession we will take reasonable steps to remove any personal information and software from repossessed Equipment but we will not be liable for any consequences if we fail to remove such information or software. (c) At this time, if you have met all the terms and conditions of the agreement then Rent With Style can allow you to gift the item/s to a person of your choice on your behalf. This person needs to be nominated on Rental Agreement and Tax Invoice Page. 20.3 If you do not give us notice under clause 20.1, then Clause 12 applies and you must return the Equipment as required by that clause. (b) We may notify you that we will not update the equipment in which case you may return the equipment as contemplated by clause 20.1(a). (d) You also consent unconditionally to Us lodging a caveat or caveats noting Our interest in any of Your real property. If You collect or receive the Equipment (whichever is applicable) and find that it is broken, damaged and/or defective, You must notify Us within 24 hours after You collect or receive the Equipment. If You do not notify Us within this time period, Equipment You collected or received would be considered to be working in perfect order and condition. 23.1 At Rent With Style, We take Your privacy seriously. We will comply with the National Privacy Principles in all dealings with You. (b) to Our service providers, contractors and affiliated companies from time to time to help improve and market Our services to You. 23.4 You have the right to access the personal information we hold about You. 23.5 A copy of Our Privacy Statement is available upon request. 24.1 Subject to clause 22, Neither party will be responsible for any delays in delivery, installation or collection due to causes beyond their control including but not limited to acts of God, war, terrorism, mobilisation, civil commotion, riots, embargoes, orders or regulations of governments of any relevant jurisdiction, fires, floods, strikes, lockouts or other labour difficulties, shortages of or inability to obtain shipping space or land transportation. 24.2 Nothing in clause 22 will limit or exclude Your responsibility and liability under the Hire Agreement for Equipment that is lost, stolen or damaged beyond fair wear and tear during the Hire Period, or has broken down or become unsafe to use as a result of Your conduct or negligence. The Hire Agreement is governed by the laws of the State or Territory of Australia where the Hire Agreement is entered into by the parties and each party submits to the non-exclusive jurisdiction of the courts of that State or Territory. The Hire Agreement as defined in clause 1, comprises the entire agreement between the parties. 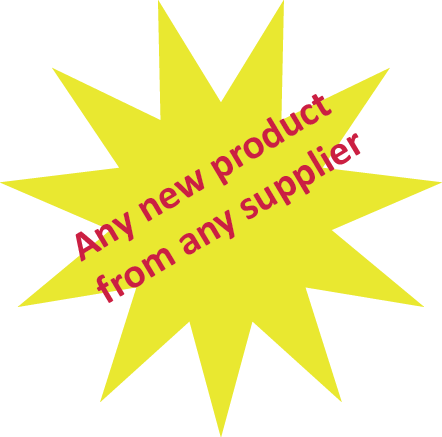 No additional terms and conditions (including any terms contained in any purchase order) apply to the hire of the Equipment unless agreed in writing by the parties. You acknowledge that neither We nor any person acting on Our behalf have made any representation or other inducement to You to enter into the Hire Agreement and You have not entered into the Hire Agreement in reliance on any representations or inducements (including in relation to the use of the Equipment) except for those representations contained in this Hire Agreement. From time to time, We may need to vary this Hire Agreement. If We intend to do so, We will give You 30 days written notice and clearly set out Our proposed amendments. If You have reasonable grounds to believe the change will be detrimental to Your rights, You may terminate this Hire Agreement without penalty within 30 days of receiving Our written notice and return the goods in accordance with clause 12 Any other variations of these terms and conditions must be agreed in writing by You and Us. No delay or omission by a party to exercise any right, power or remedy available to that party as a result of a continuing breach or default under the Hire Agreement will impair any such right, power or remedy, nor will it be construed to be a waiver of that party's rights to take action or make a claim in respect of a continuing breach or default. 31.1 From time to time We may review any Credit Account We have granted to You without notice. 31.2 We may, at Our discretion, decide to withdraw credit for any reason, including but not limited to if Your circumstances change, You fail to make payments on time or You fail to use the Equipment in accordance with the terms of the Hire Agreement. (b) still pay all amounts due to Us under this Hire Agreement, including hire charges until the Equipment is back in our custody and possession. 32.1 The person signing any document which forms part of the Hire Agreement for and on behalf of You hereby warrants that he or she has Your authority to enter into the Hire Agreement on Your behalf and grant the security interests in connection with it and is empowered to bind You to the Hire Agreement and each security interest granted in connection with it. 32.2 Except where clause 32 applies, the person signing this Hire Agreement indemnifies Us against all losses, costs and claims incurred by Us arising out of the person so signing this Hire Agreement not in fact having such power and/or authority. This edition of the Terms of Hire replaces and supersedes all previous editions of the Terms of Hire We have issued. 35.1 The Customer must immediately check all Equipment and Hire Charges, and any disputes in relation to those Equipment and/ or Hire Charges must be communicated to the Owner in writing within 24 hour of the Hire Contract date. In the event that no communication is received from the Customer within that 24-hour period, the Equipment and/ or Hire Charges are deemed to be accepted by the Customer. (b) we reserve the right to choose any suitably qualifier repairer to carry our repairs or any suitable supplier to replace the Equipment. (c) Unless we release you from your obligations, you must continue to pay Total Monthly Rental Payments in accordance with Clause 7. (d) Where Equipment is returned to us under this Clause (including where Equipment is being repaired) you must remove all personal data from the Equipment, which can be accessed by you before returning it to us. (e) If a dispute arises out of or relates to this Agreement, except where urgent interlocutory relief is sought, neither party may commence legal proceedings unless the party claiming a dispute has given written notice of the dispute to other and both parties endeavour in good faith to resolve the dispute expeditiously by any means upon which they mutually agree. (f) If dispute remains unsolved within 30 days after notice has been given, a mediator will be appointed by the president of The Law Institute of Victoria or his/ her nominee and the parties will bear the costs associated with the mediation equally. (g) If the dispute is not resolved via mediation, either party may institute legal proceedings concerning the subject matter of the dispute. 37.1 You must tell us if you change your bank account or credit card details, your postal or email address or if you think there is any information that we should be aware of about your ability to comply with this Rental Agreement. 37.2 We can give you notice by delivering it to you personally or leaving it at, or sending it by post, facsimile, electronic message to your mobile or an email to your home, business, postal or email address last known to us. An email notice shall be valid if not returned. 37.3 A certificate signed by one of our authorised officers is adequate proof of the facts stated in it relating to this Rental Agreement and rights and obligations arising under it unless you can demonstrate otherwise. 37.4 You consent to us and our related bodies sending commercial electronic messages to you. 37.5 We will notify you by sending a notice in the ordinary post to the address you have given us on the Rental Agreement. 37.6 Any notice will be deemed to have been received on the third business day after posting. 38.1 We may change these Terms and Conditions at any time by giving you not less than 30 days notice. 38.2 Any change shall not affect the amount of the Total Monthly Rental Payment. 38.4 You have the right to end this Rental Agreement at any time before the end of the Agreed Term in accordance with Clause 18. Capitalised terms used in the Agreement have the same meaning in these terms and conditions. Heading in this agreement are for the convenience only and do not affect construction. If there is more than one, "You" means each of you separately and all of you jointly. (b) Borrower failing to comply with any of the Borrower's obligations under this Agreement or the Security or under any agreement or instrument required under or for the purposes of this Agreement or the Security or under any agreement or instrument collateral to this Agreement or the Security, upon request by the Lender. 41.2 The Hirer irrevocably appoints an Attorney as mentioned in the 'General Power of Attorney'. Severally the attorney of the Hirer with power, at the expense of the Hirer, at any time and from time to time after an Intervening Event, to do all acts and things and to execute all documents as may, in Our opinion, be reasonably necessary or desirable or expedient to give effect to any right or power conferred on the Hirer by this Agreement or the Security. All images used on the site are used under permission. 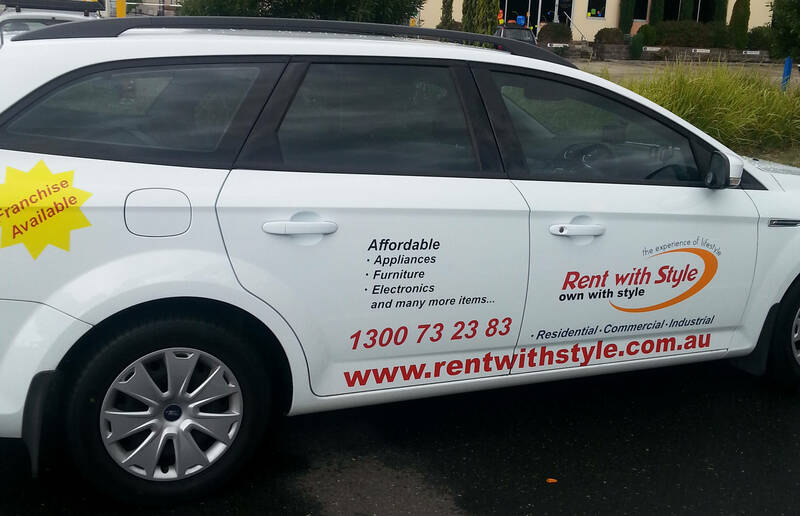 In case of an error where you are the owner of an image and feel it is used unknowingly, please email us at admin[@]rentwithstyle.com.au so we can immediately remove it from our website. We do not intend to display any copyright protected images.